The stars and constellations are among the few remaining objects that appear to us just as they appeared to our distant ancestors. From anywhere on Earth, a person may view the celestial panorama simply by stepping outside at night and gazing upward. This non- fiction narrative presents the tales of the forty- eight classical constellations, compiled from literature spanning a thousand years from Homer (c. 800 BC) to Claudius Ptolemy (c. 150 AD). These age- old tales have captured the human imagination from ancient times to the present, and through them we can examine the early practical astronomy, philosophical speculation on the cosmos, and fundamental moral beliefs of much of Western civilization. Illustrations and star charts carefully reconstructed from ancient sources lend a visual element and immerse the reader in the world of ancient cosmology and constellation mapping. 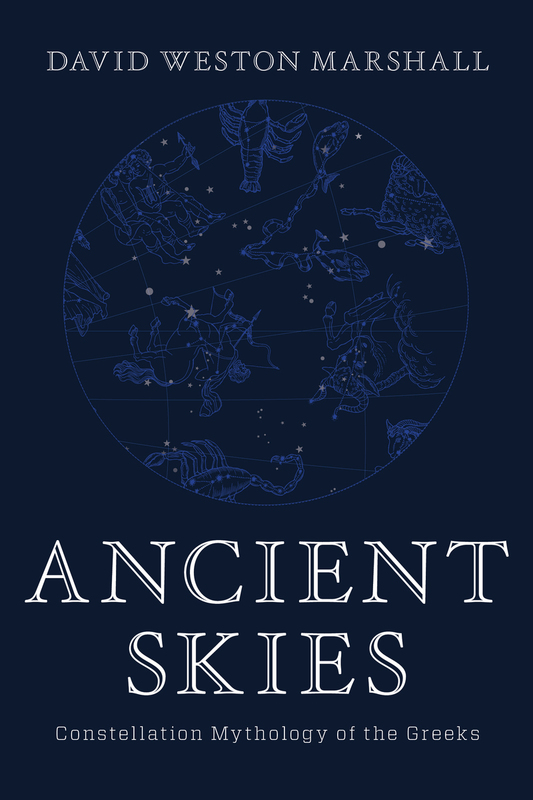 Through Marshall’s research and storytelling, Ancient Skies brings the belief systems of the classical world to shining life. David W. Marshall, PhD, is a historian and archivist on the faculty of Texas Tech University, with 34 years of experience as a researcher, instructor, professor and archivist. He is the author of Mountain Man: John Colter, the Lewis and Clark Expedition, and the Call of the American West (Countryman Press, 2016). He lives in Lorenzo, Texas.